Interview of Prof. Walter Kaelin by Sabine Balk, originally published in the international journal D+C in English and in German. Climate-induced migration has been a focus of political and public discussion for quite some time. Law professor Walter Kaelin has campaigned for years to get it onto the international agenda – first through the Nansen initiative and now through the Platform on Disaster Displacement. In an interview he explains what challenges exist and what needs to be done. Are climate refugees recognised as such? No, they are not. 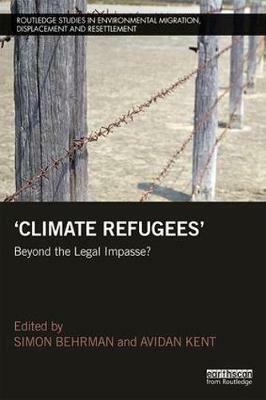 Changes in climate are not acknowledged as reasons to flee and seek refuge, at least not in international law. But the issue figures prominently in the new UN Global Compact for Migration because climate change and natural disasters are recognised as a cause of migration. References are found, for example, in objectives 2 and 5. However, the term climate refugee is heard less and less in the international political and legal discourse. The term used now is disaster displacement. 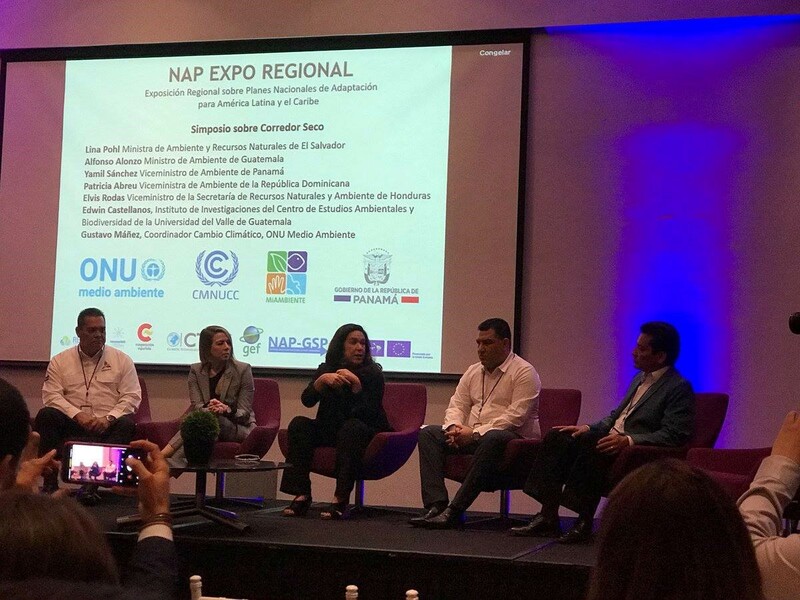 There is a growing awareness that climate change is generally not the sole cause of migration, and that refugee movements are always multi-causal. In many cases, it is also very difficult to show the link between a particular weather event and global warming. There are occasional instances where scientists can establish a clear connection but that is the exception, not the rule. Migration can also be triggered by geophysical events, such as the earthquakes that hit Haiti in 2010 and Nepal in 2015. In both cases, large numbers of affected people fl ed across borders, but such incidents cannot be captured by the notion of climate refugees. What about people who abandon their homes because of gradual environmental changes such as droughts or rising soil salinity? Sudden events and gradual changes are generally interconnected. Take Somalia, for instance. After several years of recurrent drought, the situation changed within a few months and, in combination with difficult economic conditions as well as the continuing military violence in parts of the country, food insecurity turned into famine and thus a disaster that triggered massive internal and cross-border displacement. Interactions between sudden and gradual natural events can also be seen in the low-lying island states at risk in the South Pacific and elsewhere. While coastlines are slowly eroded by rising sea levels, soil and groundwater salinity is increased by storm surges. Many islands today experience extreme weather events that are more powerful and more frequent than in the past. All of which can make islands uninhabitable and force their populations to seek refuge elsewhere. How does the Platform on Disaster Displacement (see Platform article in D+C/E+Z e-Paper 2017/04, focus section) aim to resolve these problems? ● Helping people stay where they are by improving climate-change adaptation and disaster-risk reduction, especially in areas or communities at increased risk of displacement. ● Facilitating regular migration or planned relocation, which means helping people move out of harm’s way before a disaster strikes. ● Where these measures fail or are insufficient, action needs to be taken to protect people who have been displaced. This applies equally to people who are internally displaced and people who seek refuge across borders. This three-pronged concept has been recognised and enshrined in the 2018 Global Compact on Migration – a sign of important progress made on this issue over the past two years. We now have the right texts. What plans are in place for relocation? Fiji has its own internal relocation plans. International relocation is being considered in very few cases. Kiribati has purchased an area of higher ground on Fiji. This is a precedent in the context of climate change. The land could be used for resettlement purposes or it could be farmed to secure food supply – an increasingly difficult challenge as soil salinity rises. The discussion in the South Pacific focuses on creating migration opportunities enabling people to decide for themselves when and where they go before they are forced to move. Temporary migration opportunities as a way of strengthening resilience and thus helping people stay longer are also considered. Yes, Australia and New Zealand have programmes specifically designed for Pacific Island states, allowing people to obtain a work visa for a number of months. The programmes also offer access to skill development programmes and support services to help people invest the money they earn back home so that their families and communities can cope better and stay where they are, at least for some more years or decades. I recently learnt about a village in Samoa where 20 to 25 young men per year leave to work in Australia. In the space of six months, they can earn seven times more there than they would earn at home in a year. That is a boon for the community. The money that comes back is invested, for example, in making homes storm-proof and establishing businesses. Over the next three years, the Platform itself will be supported by the European Commission to engage in a project strengthening such programmes in conjunction with the International Organisation for Migration (IOM) and other partners in the Pacific. We need to think now of how temporary – and later also permanent – migration can be managed. We must not wait until people become refugees and a humanitarian problem. That message rings out loud and clear across the Pacific: people do not want to become refugees. They want to be able to leave in a controlled manner and not end up in a refugee camp. What about Africa and the prospects of controlled migration there? The situation is different in Africa. I mentioned Somalia a moment ago. East Africa suffers from regular droughts and flooding, and displacement is a regular occurrence. The causalities are complex because climate change and other environmental factors are often compounded by conflicts. The biggest challenge in East Africa is protecting internally displaced people. 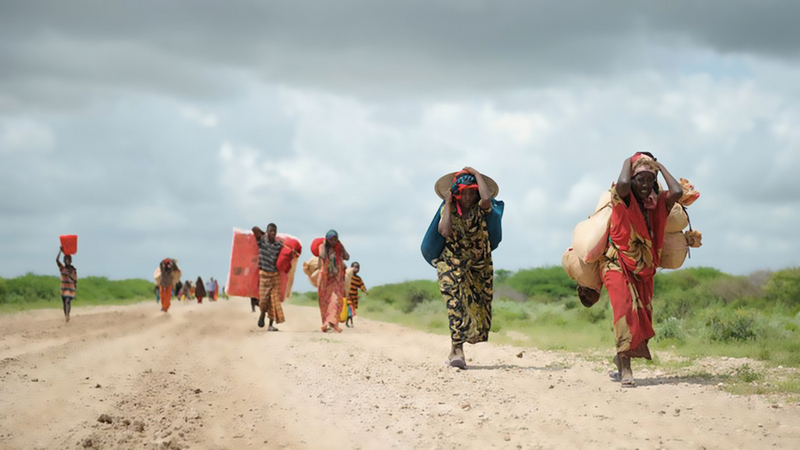 In 2017, for example, drought forced more than a million people in Somalia to abandon their villages or pastoralist way of life to avoid starvation. Most have been unable to return and still live in camps or irregular settlements on the outskirts of Somali cities. Considerable investment is needed to find long-term solutions for those people. They were at least able to find refuge in their own country. Which was not the case in 2011/12 when Kenya, Ethiopia and other East African countries took in around 300,000 Somali refugees. They did so under the 1969 Refugee Convention of the Organisation of African Unity, which covers people who seek refuge beyond their country’s borders. The Convention confers refugee status not only on those fleeing persecution and civil war, but can also be applied to victims of disasters, provided natural hazards cause a severe disruption to public order. In West Africa there is a protocol on the free movement of people in the region of the Economic Community of West African States (ECOWAS). Experience shows that it also benefits people who are deprived of a livelihood by drought or floods and find temporary work in a neighbouring country. There is even a kind of travel document for livestock. Many people can thus help themselves by migrating – which is why we hear much less about flight and long-term humanitarian problems in the region despite the fact that environmental migration certainly occurs there.